If you’ve been paying attention, then you’ve probably noticed a growing environmental movement focused on eliminating plastic straws. Companies like Starbucks and Marriott are doing it, cities like Seattle and Oakland are doing it, and even England has announced a ban for next year. But why all the hate on plastic straws, and how much of a difference will this actually make? 2 So wait, no more straws? 4 Will this make a difference? The world has a huge plastic problem. Essentially, we’re producing and using a large amount of plastic that we are hardly reusing or recycling. Plastic has penetrated every corner of the Earth, from the deepest parts of the oceans to the frozen wasteland of the North Pole, and we’re producing more of it now than ever before. Nearly half of all the plastic we’ve ever produced has been made since the year 2000. Estimates of our global plastic production range from 335 to 400 million tons every year and out of that, around 8 million metric tons of our plastic waste enter the oceans from land each year. 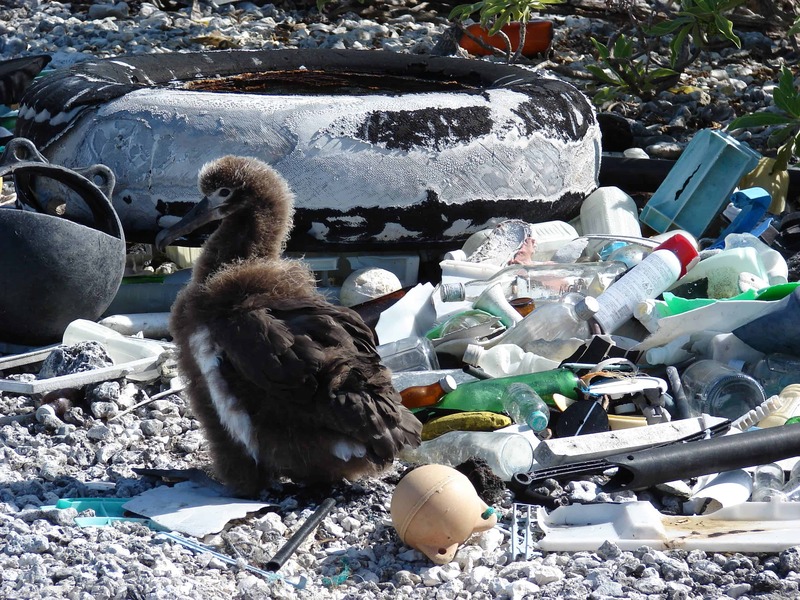 These plastics don’t really disappear — they just break down into smaller and smaller pieces and are often ingested by wildlife or even humans. 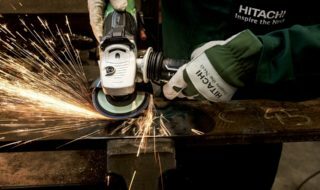 It’s easy to understand why the world is so in love with plastic: it’s cheap, it’s easy to produce in great volumes, and it’s durable — its durability being one of the main problems, as it takes unbearably long to degrade. Plastic has become so ubiquitous that almost half of it (40%) is deployed for packaging that is used once and then discarded. So it seems natural that if we want to fight plastic consumption, we start with single-use plastics — like straws. An all too familiar sight. Image credits: Forest & Kim Starr. Rarely necessary, straws have become somewhat of a symbol for our needless plastic abuse — but that’s not to say that plastic straws aren’t a problem themselves. A whopping 500 million drinking straws are used every day in America alone. That’s an average of 1.6 straws per person per day — enough fill over 125 school buses with straws every day. So we don’t really need straws and they’re a burden on the environment: let’s ban them. Simple enough, right? So wait, no more straws? There are alternatives to plastic straws. You can use stainless steel straws. You can either carry your own around or have them at bars. 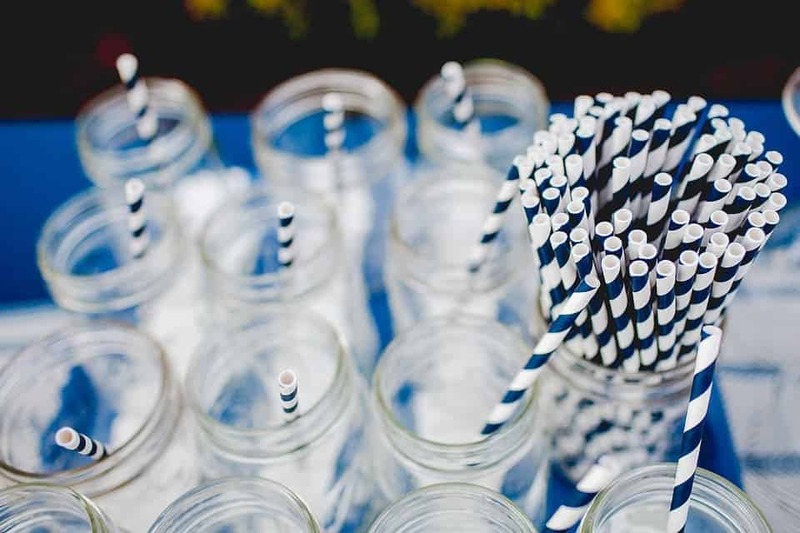 However, both options are seemingly unlikely, as few people would really like to carry their own metal straws around, and most bars would presumably not be happy to give metal straws away. Several companies are trialing edible straws. Particularly suitable for long, icy drinks, edible straws could become a staple at cocktail bars, but it’s hard to see them really replacing plastic straws. Other degradable straws have also appeared on the market. It’s not clear how economically viable these options are, but they could end up making a big difference. The most likely alternative, which is already present in a great number of English bars, are paper straws. Disposable paper straws are still waste, but they’re a kind of waste which is biodegradable. However, paper straws get mushy if you take too long to finish your drink — though some bars I know might consider this an advantage. Lastly, the most suitable alternative in most cases is not using a straw at all. Let’s be honest, you can have a Coke just as well without the straw, so why use it in the first place? Unfortunately, we consumers have proven to be quite an unreasonable bunch, which is why a ban is being discussed in the first place. Paper straws don’t really eliminate the problem, but they create a much more manageable type of waste. Things are not as simple as they seem, however. Problems with a straw ban range from trivial to very serious. For starters, as any lipstick user can attest to, straws can make your life easier as you don’t need to drink directly from the cup. Icy cocktails can be nigh impossible to drink without a straw, and paper strawse can also become a choking hazard, if they start mushing in the drink. More pressingly, the lack of straws would be a problem for people with disabilities. Finally, there’s one big question we need to ask about the straw bans. Here’s where things get really complicated. Let’s say we find an inclusive way to ban straws without causing extra problems for anyone. What does that actually do? In the case of Starbucks, for instance, an investigation has revealed that the new lids will end up using more plastic than the old lid and straw combo. That’s unlikely to be the case in many other places because more often than not, plastic straws don’t replace anything — they’re simply an add-on. But even if we remove all the straws in the world, how much will that even matter? Australian scientists Denise Hardesty and Chris Wilcox estimate, using trash collected on U.S. coastlines during cleanups over five years, that there are nearly 7.5 million plastic straws lying around America’s shorelines. Extrapolating the number, they estimate that there are between 437 million to 8.3 billion plastic straws on coastlines throughout the world. So in that regard, banning future plastic straw usage can make a big difference. In terms of sheer waste, things are a bit less clear. Every year about 8 million metric tons of plastic end up in our oceans. Straws may make up about 4% of the plastic trash by piece, but they account for far less by weight. 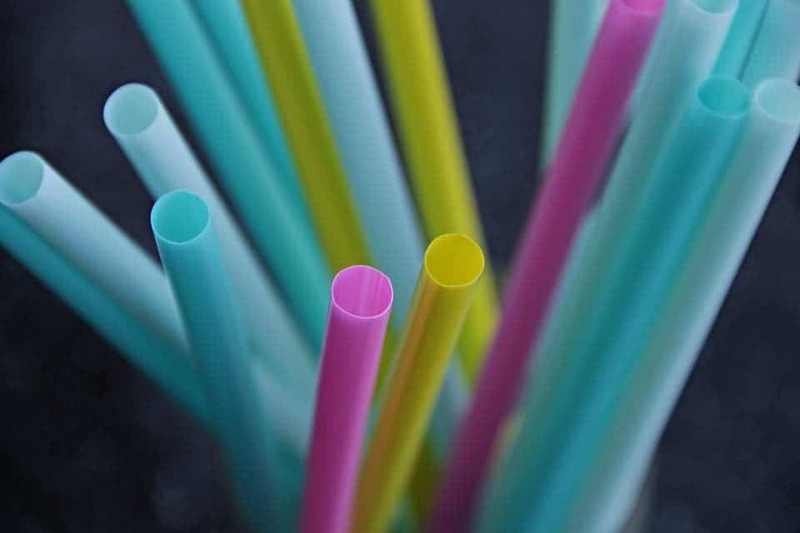 Straws weigh, on average, .42 grams, so that would only amount to 2,000 tons a year — which, compared to 8 million, is not that much. But there is a different argument to be made, and it’s perhaps the most important one. As social psychology has shown numerous times already, if you want someone to do something important for you, you’re better off by first asking them to do a small favor first — which brings us to our initial argument. Banning straws is not really about banning straws. It’s not peak slacktivism, as some have called it, but rather it’s about sending a message that’s essentially saying society is ready to take a small but decisive step in a very long journey. I’m not sure it’s the best step, and I’m not sure how much of a difference it will make in the grand scheme of things, but it’s a step — and we need as many steps as we can get.